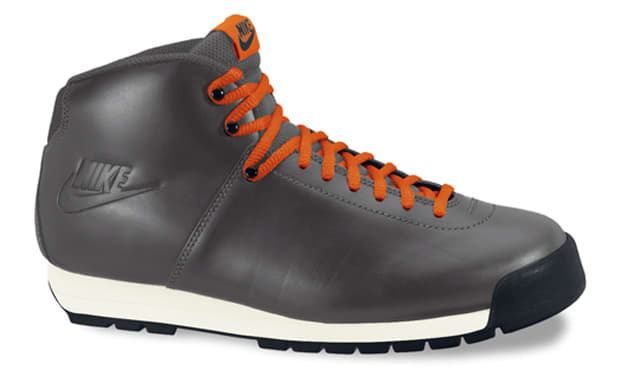 Nike Air Magma Retro "Fall 2011"
Heading into the Nike Vault a little deeper comes the Nike Air Magma from 1988. You&apos;ll be able to get yourself a pair (or three) this fall when three different smooth leather colorways are set to drop in brown, black, and grey. Each pair has "Nike" embossed on the upper ankle and will have laces that match the tag on the tongue.